Hollywood has always had a fascination with re-examining America's relationship to Native Americans. From Dances with Wolves to last year's Hostiles, it remains particularly fertile dramatic ground, and it looks like we'll be able to say the same about Woman Walks Ahead, which stars Jessica Chastain as real-life painter/activist Caroline Weldon, who became central in the conflict between the Lakota Sioux people and the U.S. government. Directed by Susanna White (Our Kind of Traitor) and co-starring Oscar winner Sam Rockwell and Michael Greyeyes as Sitting Bull, the film centers on Weldon, a Brooklyn portrait painter looked down upon by her peers. After her divorce she became interested in the plight of Native Americans, and set out to Dakota Territory to paint Sioux leader Sitting Bull, becoming his secretary and confidante in the process. Weldon was publicly smeared by government agents for her staunch defense of Native Americans, making her hated by other whites and ruined in the press. 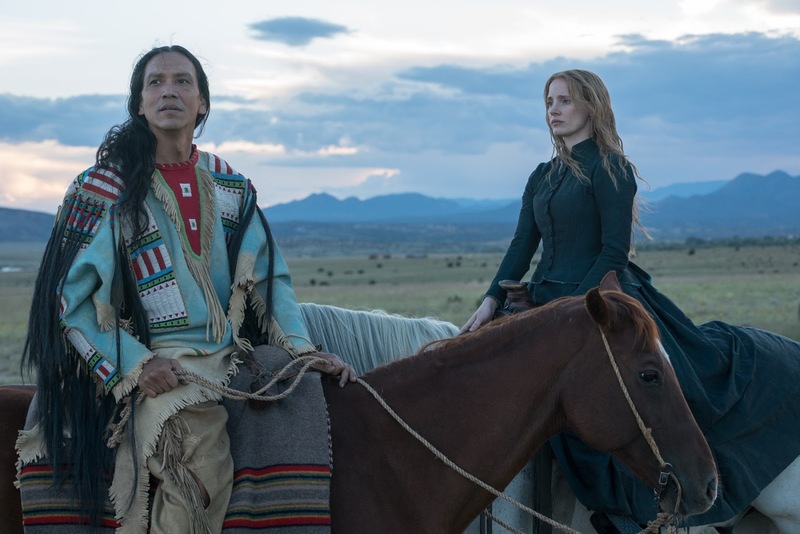 Also starring Ciaran Hinds, Bill Camp, and Michael Nouri, Woman Walks Ahead opens June 29th but will have an exclusive DirecTV run beginning May 31st.